No need to show Anne Hathaway how to get...how to get to Sesame Street! She's been there before having busted out a tune more than a decade ago in which she expresses her desire for a Snuffleupagus for Christmas. And now it seems she may be headed back to Sesame Street when it arrives on the big screen for Warner Bros.
Collider reports Hathaway is in talks to star in the live-action Sesame Street movie, which will be directed by Portlandia's Jonathan Krisel. 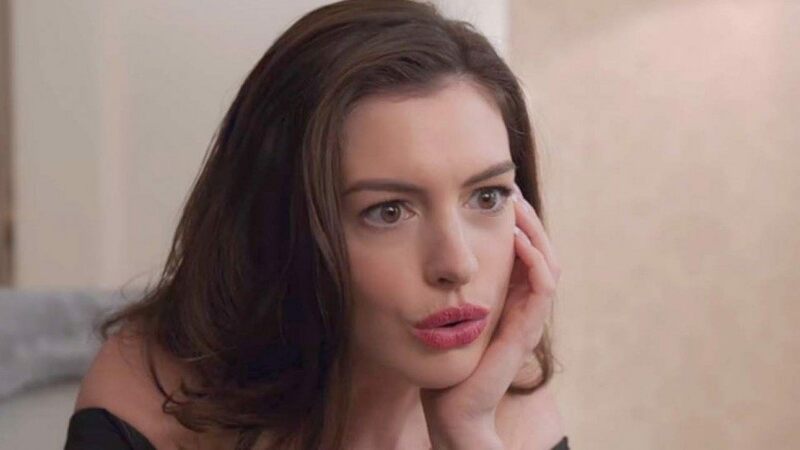 While the plot is unclear, Hathaway is expected to play someone named Sally. While it may be a coincidence, Sally is the name of a girl who appeared in the very first episode of Sesame Street in 1969. In that episode, she is introduced to the Muppet characters populating the fictional town, including Big Bird and Oscar the Grouch. The film has been in the works for years with Shawn Levy (Stranger Things) overseeing its development. Chris Galletta wrote the most recent version of the script. Hathaway has a long and successful association with Warner Bros. so it makes sense they'd want her for this. She most recently starred in their summer hit, Ocean's 8, and of course she was part of Christopher Nolan's The Dark Knight Rises and Interstellar.